Well-known multinational companies are lining up to be allowed to buy Tesla's new electric truck. It's been two months since Tesla presented its Semi electric truck. Tesla Semi promises to have 500 miles of range at maximum weight and should cost about 150,000 USD. There was a big skepticism before the unveiling of this electric truck, but obviously Tesla has been able to dispel a lot of distrust because the orders are flowing smoothly. Tesla doesn't release any figures of how many orders it has received. However, the companies that sign an order form obviously want to advertise it and let the world know that they are going green. Therefore, so far we know of 19 companies that together have reserved at least 375 Semi trucks from Tesla. The total number of reservations is probably higher, as there are undoubtedly companies that do not advertise their orders. Here is the list of transnational companies that have ordered Tesla Semi truck. 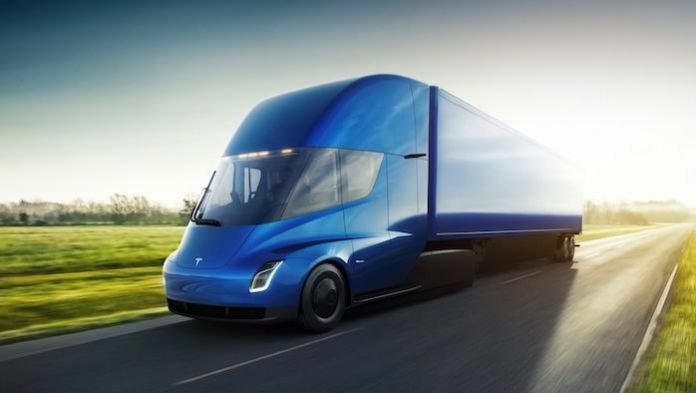 If you are a truck driver let us know what you think about Tesla's Semi truck. Do you look forward to electric trucks? You can share with our readers your opinion for discussion in the comments section below. If you liked this article and think it may help your friends, consider sharing or tweeting it to your followers. Tesla may have some problems, but a shortage of enthusiastic customers isn’t one of them. I am just looking forward to my amazon shipping to become cheaper because this semi is so much more efficient. I am wondering if the prices of shipments and deliveries will eventually drop due to the advent of electric Semi. Or, greed may keep it the same. Some people say Tesla doesn't make money on Semi trucks. Are you sure they don't make money on the cars? I recall Elon saying something about everyone who bought the S or X or roadster, they were paying to subsidize someone else to buy a model 3.
if this represents success through technological innovation then I have no problem with it. Green, per se, is a good thing. I hate to waste, as do all Conservatives (I hope all y’all are OK for me speaking for us that way). If Tesla trucks are more efficient and better for the planet — cool. It is when liberals tell ME exactly how I will be “green” and what tradeoffs I will make and even if the dicta are even efficient that my powder gets pulled out. I find it a bit rich to describe Pepsi as a "nutrition" company ! if it is a nutrition company, then for sure so is Anheuser- Busch! I think if you added a CHARGING system for the BATTERIES by using the SOLAR panels on TRAILER & adding BATTERIES underneath TRAILER hooking them up to wiring harness for LIGHTS back to the TRUCK BATTERIES would give you a longer range on SEMI & If you have a car tow a small TRAILER with BATTERIES on it giving you a longer range to drive & NEVER stop.